One way to lessen the stress of recovering from storm & hurricane damage in North Carolina and South Carolina is to call a full-service disaster recovery contractor like Dula Construction. Instead of attempting to coordinate repairs from numerous contractors, let us manage the process from start to finish and schedule your free cost estimate! We have emergency response crews available 24/7 in Matthews, Weddington, Indian Trail, and nearby. Our experienced technicians will work efficiently and thoroughly to get your home and your lives back to normal. A home in Clover, SC was damaged by a severe hail storm a few months ago. Their siding was discontinued and we were able to work with their insurance company to replace all the siding on the entire house in Royal Crest Blue Grey siding. Tarp protection for damaged, leaking roofs. We will install temporary tarps to prevent further water or snow intrusion if your roof is penetrated or caved in by fallen trees or branches, or has sustained hail damage or damage from high winds. Downed tree & branch clearing. Trees and branches that fall on buildings, vehicles, and driveways can be cleared quickly by our crew. Complete water damage recovery. We can remove water-damaged material that can’t be saved and use hi-tech drying and dehumidification equipment to restore everything else. 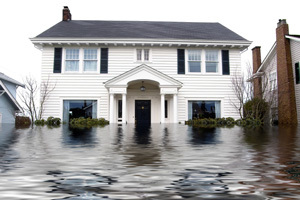 We provide expert water damage restoration services in North Carolina and South Carolina. Safe, thorough cleanup of a septic system or sewage spills is also part of our restoration capability. Temporary roof repairs. By making spot repairs to damaged roofing, we can help keep the interior of your home dry until permanent repairs can be undertaken. We experienced wind damage to our siding and flashing. Dula returned our call the next morning and confirmed before coming out. The representative was prompt, courteous and professional. He inspected our roof too and assured us everything was okay. We were happy not to be pressured into unnecessary work. He offered a repair solution that was quick, effective and at an excellent price. We will recommend Dula for any future work. Get your home and your lives back to normal quickly following a natural disaster. Contact Dula Construction for complete disaster restoration services, including wind damage restoration, water removal and more. We provide free, fast, written cost estimates for storm damage repair in Weddington, Matthews, Indian Trail, Mint Hill, Concord, Charlotte, Gastonia, Rock Hill, Huntersville, Kannapolis, and nearby areas throughout Greater Charlotte and many other parts of North Carolina and South Carolina. Our specialists can be reached by phone at 1-855-763-9167 or get an online quote to learn more about how we can help!